Go Shawty, it’s yo birthday! …. Recently, it was someone’s birthday *ahem ahem* 😛 and I found that there are plenty of places to go and enjoy free entry or an edible birthday treat on the house! For Residents and Tourists alike, there are a few Dubai restaurants, where you can eat a whole meal for free! – Woop Woop! So if you are planning to visit Dubai around the same time as you or a friends birthday, Make sure you check these places out and take some identification, like your Emirates ID if you are a resident, for proof. Some restaurants also may require a pre-registration to get an Amber Card or some kind of sign up, while other places will only give you your free meal if you bring a group of people to eat with you. Here is my ThrifDee rundown of the best places to cop a freebie!! Free entry to attractions like Aquaventure at Atlantis The Palm, Wild Wadi Water Park & Hub Zero at City Walk are just the tip of the iceberg! Did I mention there’s free food to be had people?! Don’t be one to miss out on free food, especially when it’s a sweet treat for a special day! This BBQ hot-spot boasts an array of delicious bites for you to sink your teeth into. The live Barbecue, which is inserted directly into your table just keeps on coming until you raise the flag and tell them you give up!! Literally, they will just continue to bring you skewers of deliciousness direct to your table unless you tell them otherwise! You then have a full buffet to choose from, The Mutton Byriani is AMAZING! The staff are happy to cook anything to your requirements as it can be a tad spicy for the little ones. It gets very busy so book in advance & enjoy the full buffet complete with birthday cake and song FREE on your birthday! Pop along to JBR and bring 5 friends in order to get a FREE three course dinner or brunch. Your table will also get a free bottle of champers. I love this place! I could come for the decor alone! But if you sign up to an Amber reward points card (the app is free and they accept the digital card) you can enjoy their most famous dessert the signature Frrrozen Hot Chocolate for FREE! Once you dine in. This place will have you going bananas! With the wildlife shaking in the vines above, amazing views of Dubai Aquarium & FREE Birthday Volcano cake complete with sparklers and a song of course! The staff here are very attentive & it’s a great birthday venue for adults & kids alike…. although I’m sure the balloons & face painting might be best suited to the younger folks 🙂 make sure to book in advance and let them know you are celebrating so you get the birthday treatment! Smoothly does it!…. If you dine at Armani Caffe in Dubai Mall or Mall of the Emirates, you’ll get a FREE birthday chocolate fondant. The best part is, the special offer is valid for up to one month after your birthday! Only catch is you’ll need to again, sign up to the Amber Rewards Card. Almaz By MoMo is a stylish setting, boasting the finest in Moroccan Cuisine, as Amber members. you can enjoy a FREE strawberry tart anytime within a month from your birthday once you dine in. 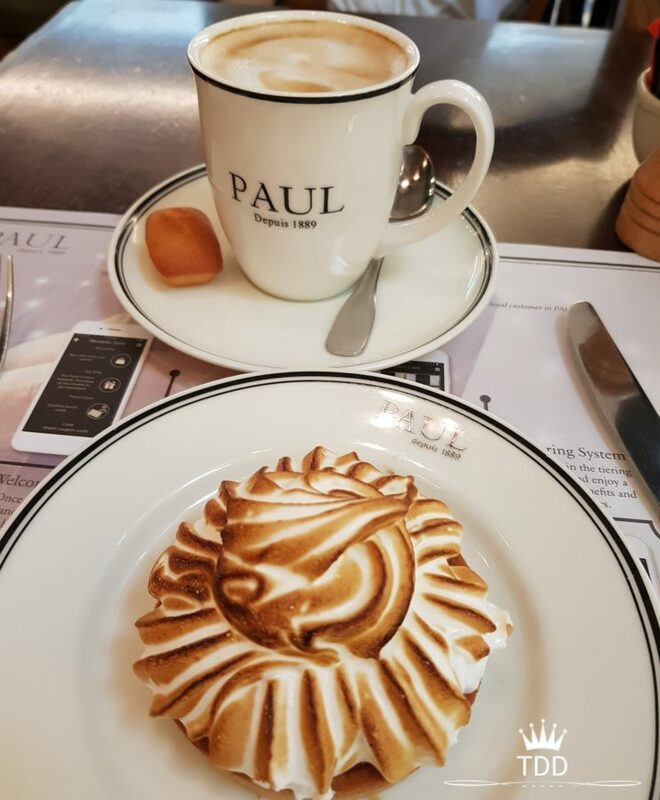 Paul is a little bit of France right here in Dubai, it has delectable pastries, cakes & yummy breakfasts! They will give you a FREE dessert complete with singing and sparklers if you let them know you’re celebrating a birthday when you book your reservation. Japanese classics with a modern twist, spend your birthday here and you’ll be given a FREE chocolate fondant dessert with sparklers (of course) just show your ID when you arrive & let the staff know you are celebrating. So I’ve scoured the city for some delightful freebies for us to indulge on, let me know in the comments below if you, or someone you know is celebrating a birthday soon & which places will you visit first to grab your complimentary gift? Previous Post Can You Handle The Challenge? Next Post Smash That Pinterest!